Learn to fix your bike for free. Every Saturday 11am – 1pm. Corner of Lawson Cresent and Lennox crossing, Acton. Cycle Jam is a weekly meetup for anyone who wants to fix or maintain a bicycle. Bring along a bike to fix, or just come along to watch and learn. 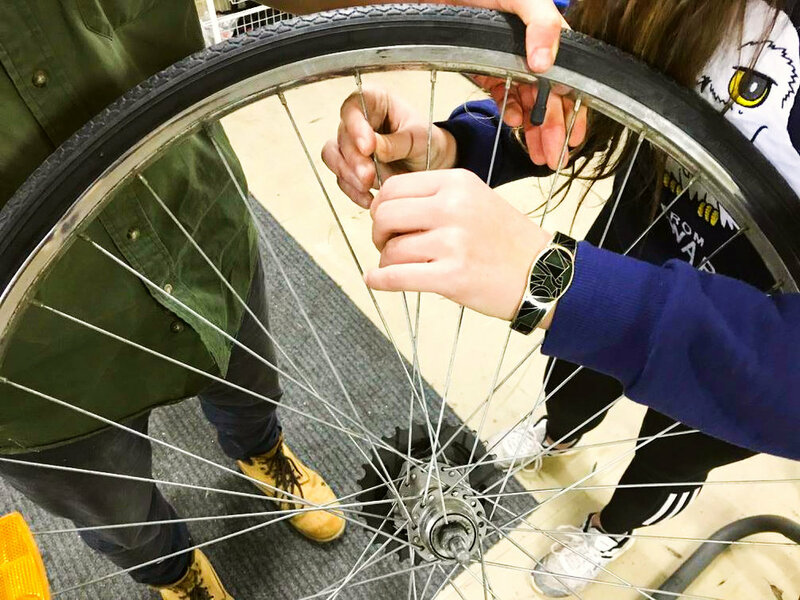 Cycle Jam is run by volunteers who will work with you to give you the skills to fix your bike. Cycle Jam is held in a fully equipped bike workshop with free tools and some spare parts. Need help changing a tyre? Need some specialised tools for your beloved steed? Cycle Jam is for beginners and experts alike. Be prepared to have fun and get involved! Have a look at Cycle Jam’s Facebook page.